It is finally back. The only TV show on air where us fellas can indulge in quality entertainment and real (vintage) men's fashion. 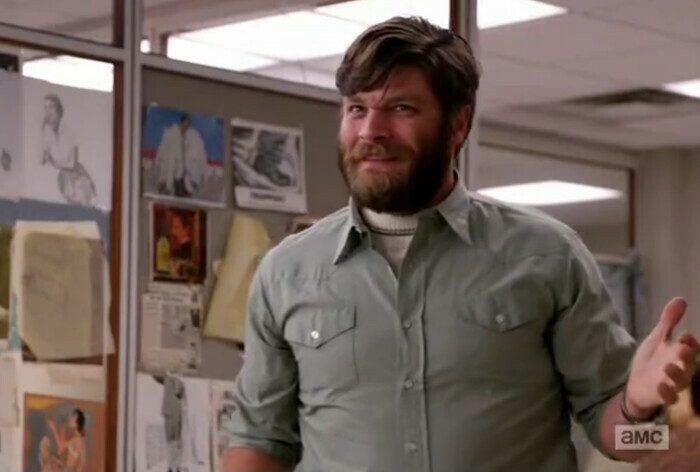 Mad Men is back on the small screen as of Sunday and the new season double bill was already full of style hits. 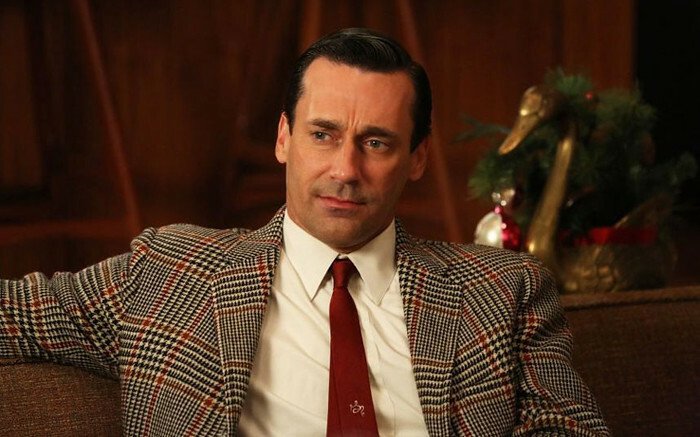 In case you had any doubts, Don Draper was yet again the best dressed of the episode. But it's half due to the great styling and half to the amount of screen time he has. 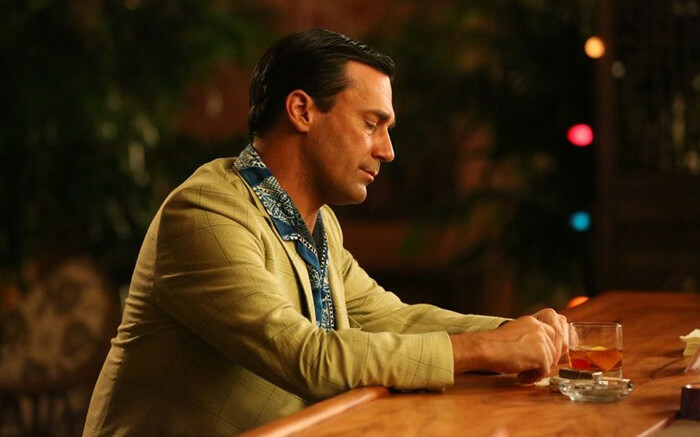 Even though I would personally wear an outfit like the below I must admit no one but Don Draper could pull off a bandana-print Cuban shirt with an olive checked blazer. I did also appreciate his matching tan and Old Fashioned. A look I would happily don (ha!) is the red and black Prince of Wales check number Draper wears for the evening together with a crisp white shirt and a modern deep red skinny tie. A few months ago I posted about my obsession with Mike Ross' ties and my quest to find them. 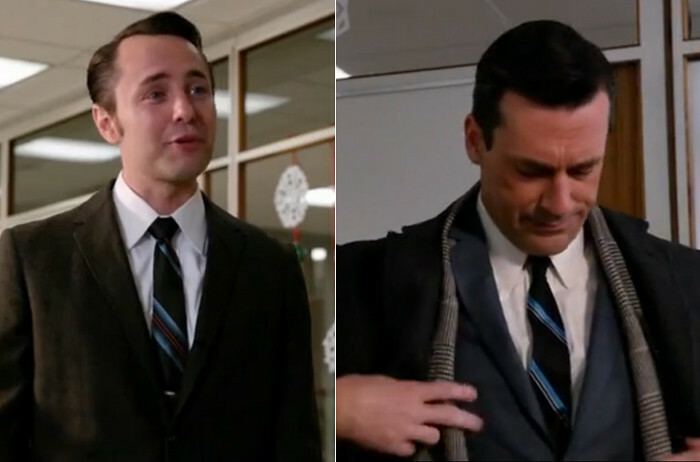 Well, it seems both Don and Pete Campbell are sporting the same style on the new season. 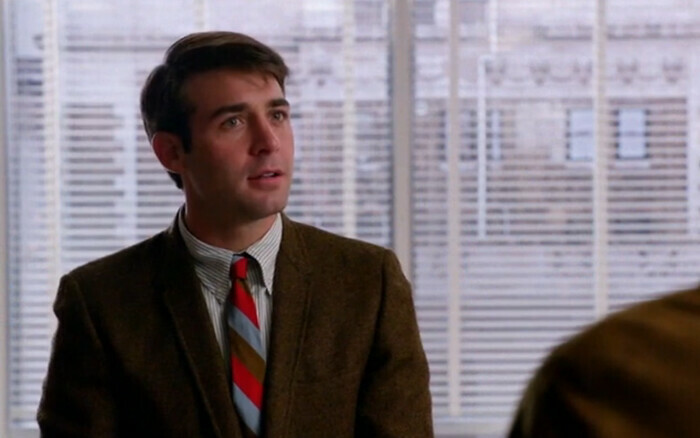 This bring us to Don's third hit on the episode – the subtle mix of prints of the micro checked blue suit, the striped tie and the Prince of Wales checked scarf. 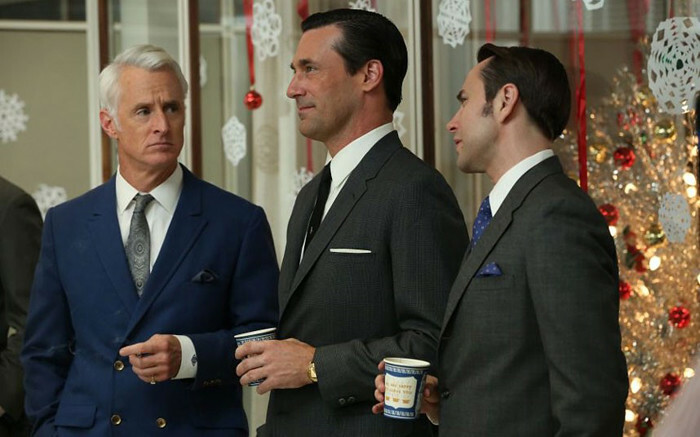 Another of my favourites of the double episode was Roger Sterling's double-chested blue blazer. I thought it suited him perfectly and it was a nice break from his signature 3-piece look. On the down is Stan Rizzo, who last season delighted us his his ultra-tight sporty jersey and pique tops that brought a nice air of sportswear into the show. The character seems to be have sold his beard trimmer to invest in bakery goods. On the up is Bob Benson, a new character from whom we can expect a bit more colour and youthfulness to go with his personality.